I think everyone we know who has a garden this summer has shared with us their great bounty. At the moment we are blessed with plenty of cantaloupe and cucumbers. That is how I came about this delicious Coleslaw recipe. The Cantaloupe, by the way, It's the most delicious, flavored, cantaloupe I have ever eaten. 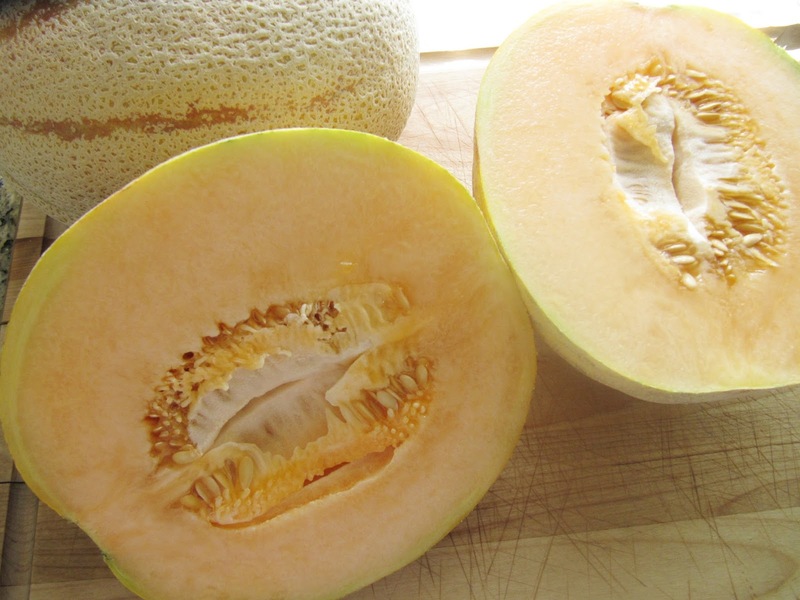 I'm not usually a huge fan of cantaloupe, but Oh my, I can't get enough of this one. So for my Coleslaw I started with a Coleslaw kit, which this one has it's own package of dressing with it, ( although I also added 1/2 cup of mayo to it.) Otherwise I would have used my own recipe, listed below. Mix together coleslaw dressing, then mix in with 1 package of coleslaw. Toss in remaining ingredients.